During a dialogue between two characters, there are no quote-marks or line separations to let the reader know where one person has stopped speaking and the other has begun; the only indication is that the first word spoken by each person is capitalised, and this takes some getting used to. These stylistic choices can be frustrating for the reader who wants a book to be simply the vehicle that carries a story from point A to point B, but in Saramago’s work the journey is more important than the destination. 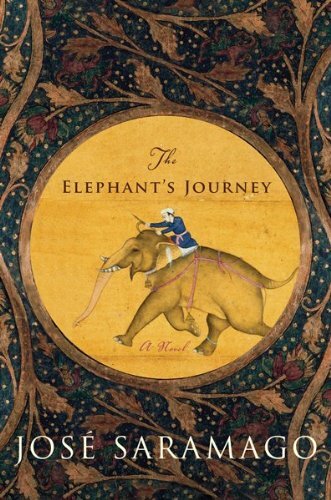 In a sense, his style is especially apt for the retelling of a real-life tale about an Indian elephant traveling – by royal decree – from Portugal to Austria in the mid-16th century. There is never much doubt that Solomon the pachyderm will get to Vienna; what matters is what will happen along the way. The Elephant's Journey begins with the Portuguese king Dom Joao III deciding to present Solomon as a wedding gift to his cousin, the Archduke of Austria, to the unexpected sorrow of the queen (“deep inside, which is where the contradictions of the self do battle, she felt a sudden sadness at the thought of sending Solomon off to such distant lands and into the care of strangers”). 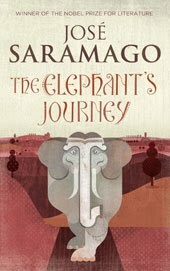 The elephant and his mahout Subhro, accompanied by a troop of officers and a large supply of forage, must travel – mostly by foot – across diverse landscapes, first to reach the city of Valladolid, where the Archduke and his wife are waiting, and then to continue apace to the new country. En route, there is to be a meeting with a group of (possibly unfriendly) Austrian soldiers. The distrust of other races and nations, often based not on personal experience but on conditioning and hearsay, is a recurring theme in The Elephant’s Journey – one of its first occurrences is a theological discussion where Subhro tries to explain the complex legends of Hinduism (including the story of Ganesha, the elephant God) to a sceptical commanding officer. We are constantly reminded that the world was a much larger, much more daunting place five centuries ago, with people having fewer opportunities or incentives to understand those who lived differently, in far-off places. At the same time, we can scarcely forget that this story centres on an Indian elephant making the most improbable of cross-continental journeys, having already made a very long one to get to Portugal in the first place. Solomon himself is the most passive of central characters. We are never made privy to his feelings about the strange things that are happening to him, and so it’s possible to see him as a blank slate on which different people write different stories. (One is unavoidably reminded of the fable about blind men conjecturing what an elephant looks like by feeling various parts of its body.) There are droll descriptions of the effect he has on people along the way – from a count’s steward who behaves as if his happiness depends entirely on being able to see an elephant (“an elephant, so that’s an elephant, he murmured, why, he must be at least four ells high, and then there’s the trunk and the tusks and the feet, look how big those feet are”) to the accompanying porters who, in a moving passage, must say their farewells to him. There is even a manufactured “miracle” that involves Solomon kneeling before a church, an incident that soon produces opportunities for commercial exploitation (which is, of course, the natural arc of every organized religion). Describing all these events is the all-knowing narrator, who moves back and forth in time, alluding to things that will happen in the future (“the fireworks would provide spectators with a finale that would, many years later, merit the adjective wagnerian”) and playing with language (“there wouldn’t be room in the statue’s belly for even a squadron of children, unless they were lilliputians, but that was impossible, for the word hadn’t even been invented yet”). He draws attention to the process of storytelling (“the column of men set off, and that was that, we will not see them in this theatre again, but such is life, the actors appear, then leave the stage ...”), reproaches himself for something said earlier (“we hereby recognize that the somewhat disdainful, ironic tone that has slipped into these pages whenever we have had cause to speak of austria and its people was not only aggressive, but patently unfair”), or simply muses to himself (speculating, for instance, that the “great mistake made by heaven” is that it overestimates man’s powers and so doesn’t do enough to help him). And this is where Saramago’s special style really comes into its own. In a more conventionally printed book, the different elements of a narrative – the straightforward relating of plot, the philosophical detours and so on – would be clearly demarcated. For instance, a paragraph reporting a conversation between two characters might be followed by a separate paragraph where the narrator takes over with his own observations or (as often happens here) quips. But reading The Elephant’s Journey, you process everything at once: the words flow into each other and wash over you, multiple patterns of meaning emerge simultaneously, and the boundary between the story and the storyteller vanishes. This gives the writing a breathless, poetic quality – once you get into its flow, you feel like you’re liberated from the formal demands of the publishing machinery. 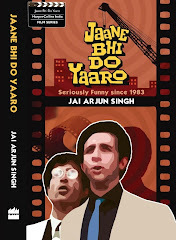 Instead you’re in the company of a garrulous old man who intersperses anecdotes with words of wisdom about emperors and mahouts, men and animals, social mores and hypocrisies. You could well be at a campfire – look over your shoulder and you might even see a stoical elephant preparing for his night’s sleep before the journey resumes the next day. Your comments on José Saramago’s style, being smarter then the ones you wrote on Pamuk’s “The New Life” 4 years ago, (time tends to make us smarter, no matter what) reveal that you should be reading more on how our mind and face2face communication flow: they just don’t go from A to B. There is neither straightforward movement nor demarcation in the way people think or communicate in presence. You simply don’t get it. Try harder.